The simple truth is that choosing a watch can be quite difficult. There are endless watch styles, colors, straps, options, and etc. 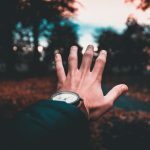 Even if you’re experienced with watches, you’ll have a tough time navigating the market. If you aren’t, it will be even worse. Luckily, we’re here to help. The first step in understanding watches is understanding the styles that they come in. 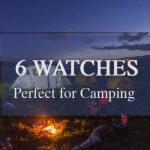 Every watch wearer has a different life and thus different needs for their timepiece. Once you decide your needs, you can determine what style to go with. Below, we present five key watch styles every man should know and who should pick them. This style of watch is mostly unconcerned with function. The watchmaker instead prioritizes the aesthetics of the watch, and specifically target a watch that will complement dress wear. Dress watchmakers will often opt not to have a second hand on their products, making precise time measurements impossible. Another thing to know about this style is not they are generally moderately sized. They are built to complement your outfit, not to be the main attraction. When you choose yours, look for inconspicuous colors like white, black, silver, gold, and brown. 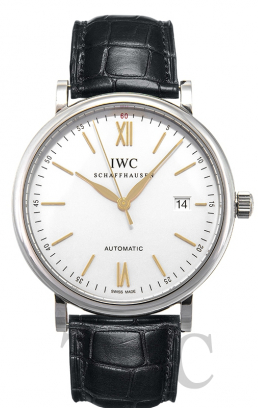 Ultimately, dress watches are simple, elegant, and classic. This may be a great choice for someone who: often wears formalwear or likes to dress up a little more. This is probably not the watch for you if: you need a watch to be highly functional and informative. This style is the opposite of a dress watch. Its appearance is less emphasized, while its function is a top priority. The result is a watch that can withstand the most extreme and rugged conditions. This makes sense when you think about the name “field.” What field refers to is the battlefield. Soldiers are not concerned with how good looking their watch is in the dire circumstances that they find themselves in. Instead, they want a high-quality watch that holds up over time. The result is a case made of durable metal, glare-proof crystal, and lumed hands. Of course, you don’t need to be a soldier to prefer a field watch. They are an excellent pick for anybody that prioritizes function. This may be a great choice for someone who: likes to camp, rock climb, the outdoors and anyone else with a rugged lifestyle. This is probably not the watch for you if: you’re someone who is primarily concerned with aesthetics. We’ve all heard of aviator sunglasses, but did you know that pilots have their own watch style too? 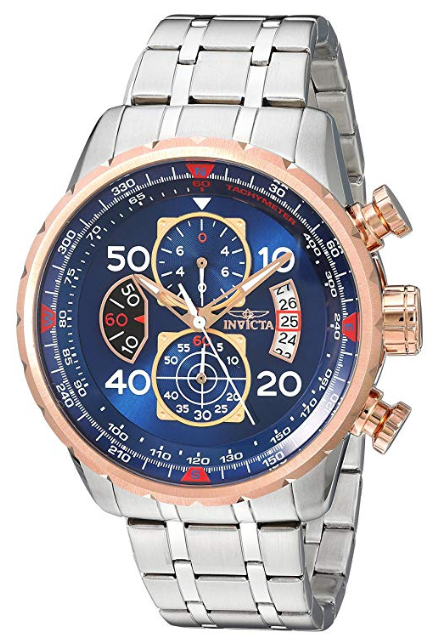 The aviator watch is similar to the field watch in a lot of ways. Namely, it was built for soldiers, it prioritizes precision, and it is built for rugged conditions. In fact, pilots used simple field watches throughout history, until they made a few essential modifications. Some of the most famous of them are adding a compass, incorporating chronographs, and making them exceptionally easy to read in the dark. 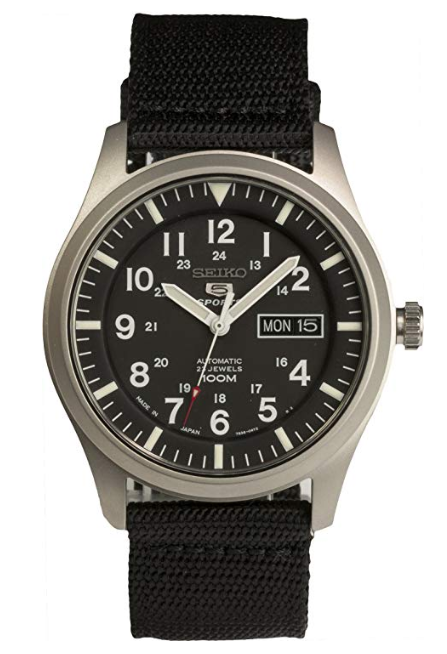 This may be a great choice for someone who: needs a rugged watch and could use the typical aviator modifications. This is probably not the watch for you if: you’re someone who isn’t too concerned with functions. Let’s start with the obvious: Dive watches are great for scuba divers. The reason is that divers need a timepiece that can function in water and under very high pressure. This watch style is built for just that, with all of them being waterproof and some even being functional past 300 meters of depth. You don’t have to be a diver to get one, though. In fact, the vast majority of dive watches never see the water. This is because the dive designation is synonymous with being very well built. It is the preferred style of many luxury timepiece companies like Rolex and is the style of many of the finest watches in the world. 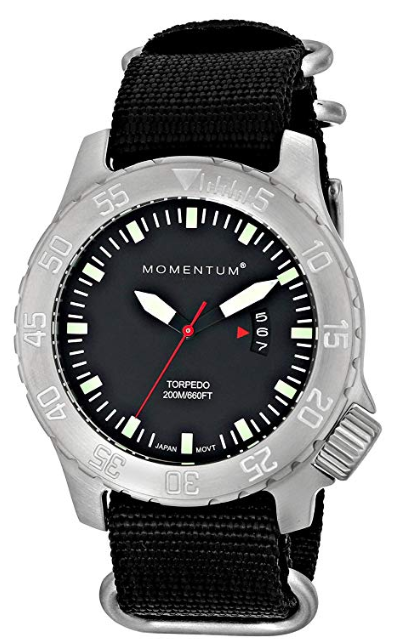 You’ll typically find when buying dive watches that sometimes the prices can be quite high. 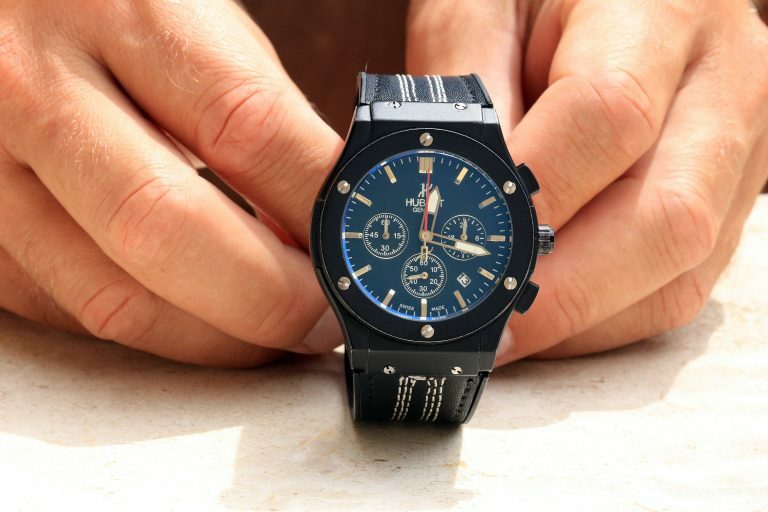 This may be a great choice for someone who: is a diver, adrenaline junkies and watch lovers who want the best built pieces. This is probably not the watch for you if: you’re looking for a more minimalistic watch. 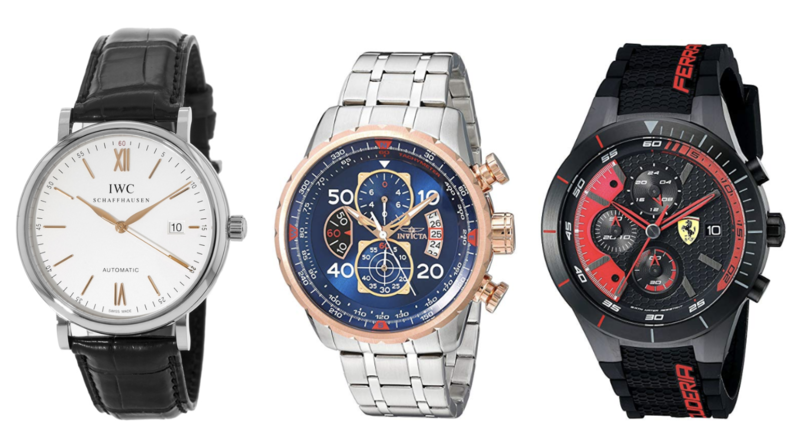 As far as appearance, racing watches tend to be much flashier than other styles. They often feature eye-catching colors and designs that you wouldn’t find on a simpler piece. For function, there are two significant features that a racing watch must have. The first is a chronograph, which is a mechanical stopwatch built into the piece. 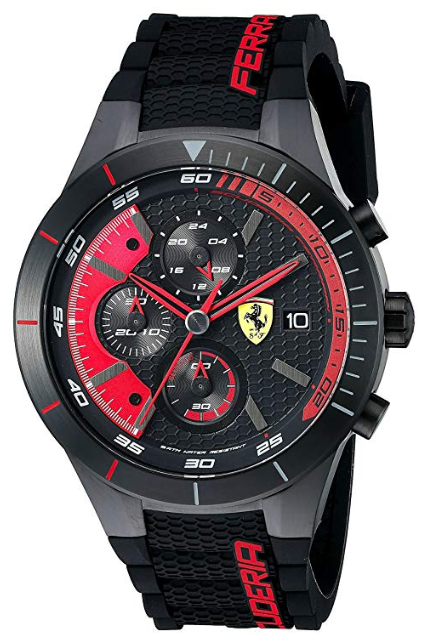 This allows the wearer to record precise time lengths, something that is essential in racing. The second is an outer edge to the dial that calculates distance based on time. This may be a great choice for someone who: is a racer, people who love racing culture, and those who would find the typical racing functions to be useful. This is probably not the watch for you if: you want a simpler aesthetic. Choosing a watch is not as easy as browsing through a store and picking one that looks nice. You first need to assess who you are and what you will need your watch for. Once you do, you can choose a watch style to match. Hopefully, with the help of our guide, you can do just that. What Watch Size Should You Buy?